Considering church membership? While we appreciate our friends and visitors and invite them to take part in nearly every aspect of life at Harbor, we welcome you to consider membership. 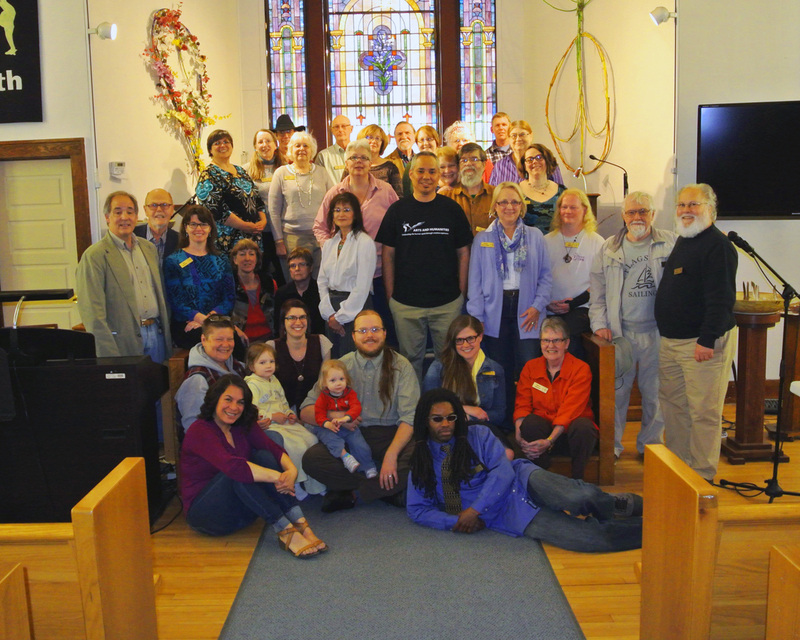 To become a member at Harbor Unitarian Universalist Congregation is a simple process. Members have the right to vote at the annual meeting and at any other congregational meetings, as well as the right to be elected to the Board of Trustees and chair any of our committees. Members must be at least 16 years old and sign our Book of Members before two witnesses. (Those 14 and 15 years old can become Associate Members.) We have several volunteer opportunities, which everyone is eligible for, including overseeing our various programs, such as Music & Worship, Religious Education and Social Action. Potential new members are invited to contact the following about membership at HUUC: Board President Rebecca St. Clair or Membership Committee members Carolyn Holmes or Mary Van Slooten.